The NY Times is planning to reintroduce paid access for its site. How this will affect CPM rates and traffic/revenues is uncertain at this point. While people might pay for global access across devices to NY Times content, it will be tough to get people to pay online. We’ll see how they execute the program. Blogs and other free, ad-supported news sites may stand to gain from the Times retreat behind the paywall. 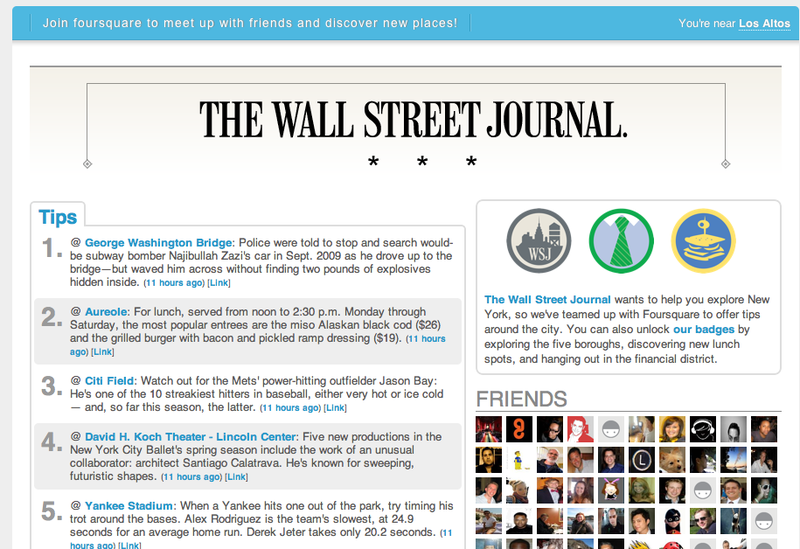 And of course one of the challenges for the WSJ or the forthcoming paid version of the Times is SEO. To paraphrase and borrow from the Times’ own Thomas Friedman: online all the news is flat. A paywall will put more pressure on the Times to maintain and even boost quality and offer more content and features. News online is largely a commodity. Many people will be fine getting it from Yahoo! or CNN if not the Times. The Online Publishers Association continues to advocate on behalf of premium publishers with data/research and fight (perhaps a losing battle) against the the commoditization of audiences via ad networks. I was unaware of this but apparently the US FTC is considering some new taxes to support or subsidize traditional journalism and newspapers in particular. These could include new mobile phone taxes or taxes on electronic devices or news websites that utilize traditional news sources for much of their content (e.g., Huffington Post). Consumers apparently don’t like this idea. I agree. 74% oppose the proposal to tax web sites like the Drudge Report to help the newspapers they draw their headlines from. I don’t want to see traditional journalism further weakened. However I think new taxes to provide subsidies to for-profit media companies that are unable to compete successfully is completely misguided. I no longer subscribe to print newspapers but when I travel I always look at them. I was struck the other day by how anemic USA Today looked to me. It was thin and narrow (to save on printing costs). The cost saving measures that diminish the “look and feel” of print as well as its content hasten the demise of the traditional product. (USA Today is getting selected online articles from content farm Demand Media.) However journalism and print newspapers are not completely synonymous. There is a fair amount of overlap but the journalistic impulse and journalism will survive the decline of print. The challenge is how to support professional writers and editors doing original reporting, rather than simply rewriting press releases or creating “service journalism,” which is where Demand and Associated Content are playing. While the iPad and its imitators may enable publishers to generate subscription revenues from electronic media, traditional journalism doesn’t monetize well online (so far), making it hard to support full time reporters doing serious work. Will Yahoo Bite Local Newspapers? Yahoo appears to be getting ready to produce local websites filled with original content that could compete with newspapers, posing a particular challenge to the hundreds of publishers who now sell advertising for the powerful portal. The apparent intention to target the sweet spot for publishers was signaled last month when Yahoo announced plans to buy Associated Content for $100-ish million to gain access to some 380,000 individuals who are willing to write articles, take pictures and produce videos for rates starting at $2 per effort. The deal is scheduled to close later this year. Insiders here in Silicon Valley say the odds are strong that a good number of those content producers will be deployed to cover local news in the hope of assembling ever-larger audiences for the premium-priced advertising that Yahoo sells via the rich user database it has amassed over the years. No doubt some of the Associated Content writers (now indirectly beholden to Yahoo!) will cover local markets as Mutter suggests. However if Yahoo does something like MSN Local it won’t necessarily be an affront to newspapers. It could also provide newspapers with some additional distribution. Yahoo! is unlikely to do something that would self-consciously compete with its newspaper partners. But it is true that if the company does a great job with local content sites online newspapers could suffer as a practical matter. Yahoo! has many more content and engineering assets than newspapers and has the capacity to produce sites or subdomains that are more user-friendly and utilitarian than most newspapers. I could imagine a local content area that combines some of Yahoo! 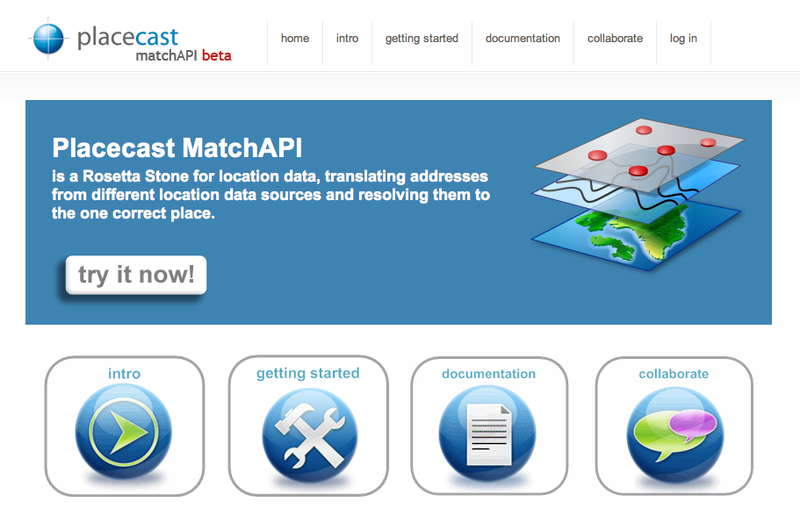 Local, with news, maps (from Nokia/Navteq) and content from other places on Yahoo! and third party sites. We expect more money to go to mobile, particularly in local search. We are watching Google and Apple closely in the mobile space, and intend to test new ad platforms and measurement systems as they come online. 2010 will likely turn out to be the year of testing before mobile really takes off in 2011. 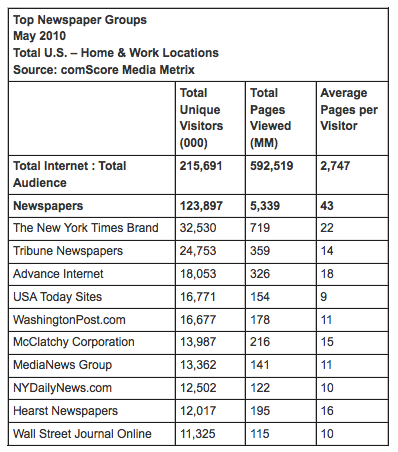 Will local online benefit from the “death of newspapers”? 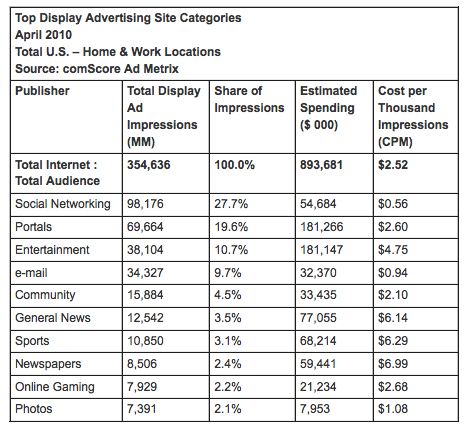 With the “death” of newspapers, and a rise in location-based technologies, many are curious to see if advertisers will move more of their budgets to local online. 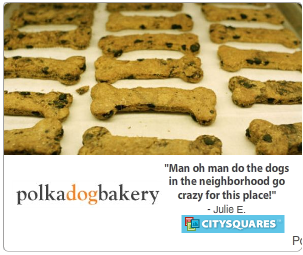 Approximately one-third of our clients ask us to run local ads. For most clients these are small percentages of their outlays — they still use digital as a targeted mass media. Local mobile spending is still very small, and was tested by only a few of our clients. Interestingly, although the number of clients participating in local display and local search activities was about equal, local display spending was twice as large as local search spending. This may be due to there being more inventory available in local display, and at lower prices than search, rather than a preference for one or the other. We expect to see this change in the next year as newspapers continue to decline in circulation, the iPad and other devices like it bring newspapers back to life but in digital formats, and smartphone usage increases local search . . .
As gaming and social intertwine with location based services, the opportunity for brands to be relevant and meaningful parts of the interaction are growing. We expect to see growth in this category not only from brands focused on entertainment, but truly all brands who have a product or service that can be an integral part of a gaming, social, or local experience. As these predictions make clear, 2010 will be about much more than a few hot platforms. While things like mobile and social are expected to make headlines, there are a number of other developments that will grab the attention of marketers and agencies alike. From infrastructure plays like ad verification systems to local online advertising, 2010 is shaping up as a year in which change in online media will make itself felt both in front of and behind the scenes. While this is educated speculation to some degree it also reflects the perspective of an agency managing client budgets with knowledge of where ad spending is going. Demand Media has just announced to its freelance writers and editors two new content deals that further its reach into traditional media. The company is about to partner with Hearst Newspapers to produce content for two web sites run by two Hearst papers: the San Francisco Chronicle and the Houston Chronicle . . .
For its normal web pieces, a typical Demand Media rate for an article of a few hundred words is $7.50, with copy editing paying about $3.50 an article, according to many freelancers I’ve communicated with who work for Demand. To make a reasonable amount of money per hour, writers have to research and compose multiple articles an hour, setting a difficult pace. Content Farms are being used as a kind of back-door SEO strategy but also to perform core writing functions (now) that used to be done by staff writers. The chief attraction is the low cost of these services as well as the volume of content they create. The writers are (self) exploited. Many of them may be competent and know something about which they’re writing but the system, with its low payments, rewards speed — not quality. This is lamentable and will tarnish the newspaper brands using services like Demand to turn out the mediocre copy — intended to capture and generate display ad page views. If this is the mindset now and what newspaper publishing has become about then let them crash and burn. In the end Google will be compelled to deal with content farms — the new spam — and everyone relying upon them will be punished in one way or another. In retrospect these strategies will look penny wise, pound foolish. AdReady couldn’t do it. Google and Yahoo! haven’t been able to do it. And Facebook hasn’t done it either. I’m referring to dramatically simplifying the process of display ad creation to reach the small business market. However, PaperG’s PlaceLocal it appears has achieved that lofty goal. New software called PlaceLocal builds display ads automatically, scouring the Internet for references to a neighborhood restaurant, a grocery store or another local business. Then it combines the photographs it finds with reviews, customer comments and other text into a customized online ad for the business . . .
Then PlaceLocal takes over, gathering basics like telephone number, hours of business, maps and directions, and adding positive comments extracted from local blogs. Samples of ads may be seen at www.paperg.com, the PaperG Web site. 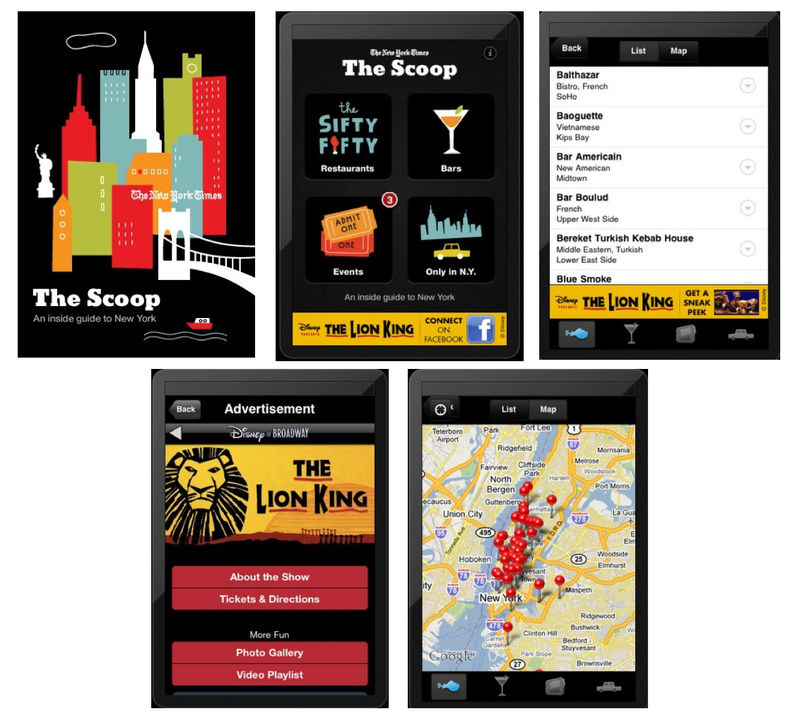 PaperG’s program is up and running on 32 local media Web sites, including Time Out New York and Time Out Chicago, and on 29 network TV affiliates owned or managed by Hearst Television, said PaperG’s chief operating officer, Roger Lee. The company has also signed up the McClatchy newspaper chain and will soon be on some of its Web sites, he said. PlaceLocal/PaperG is undoubtedly part of the mix in the Gannett Local offering as well. And because CPM inventory is cheaper than paid search I would expect more local online marketing platforms to incorporate this with or without the knowledge of local businesses. It could for example be a part of a traffic arbitrage strategy or sold directly to SMBs as a product or part of a product bundle. A number of newspapers have been offering SMB marketing packages for some time. Chief among those is McClatchy, which has had a long-standing relationship with WebVisible. With the power of Gannett, the company behind USA Today, The Arizona Republic and azcentral.com, we can jump start your advertising. What can we do for you? Matt points out that the service is being fulfilled by OrangeSoda (which is now partly or majority owned by IAC). However there are likely other fulfillment partners in the mix as well, given the range of services above. With the more aggressive entry of newspapers into local online market a noisy market grows louder for SMBs who are getting calls from ReachLocal, Yodle and WebVisible, as well as yellow pages, Groupon, and now newspaper sales channels. One question is whether the local newspaper will be “trusted” or perceived as more credible by local businesses. OrangeSoda has a very strong reputation for SEO services and so the SEO core of the Gannett Local product could be effective. ReachLocal, which just went public raised approximately $54 million out of an anticipated $100 million. The stock has gone up somewhat since last week and the company now has a market cap of $414 million. Having achieved profitability at the end of 2009, AmericanTowns reported that revenues grew an additional 35 % during Q1. Revenues continue to be driven by local advertisers seeking local customers, at over 75% of advertising revenues. AmericanTowns is our second largest source of web traffic, second only to Google for referral visits,” explained Michael Flynn, Director of MOWAA. AmericanTowns is a slow and steady network that doesn’t get lots of attention but has been gaining and growing largely “under the radar.” It would make a good acquisition for a newspaper publisher or other local media player (or online player). For example if Local.com were sitting on a mountain of cash it would make sense for them to acquire the company. Yahoo could also probably do some interesting things with the network. And AOL might be a logical acquirer. Then of course there are the yellow pages publishers . 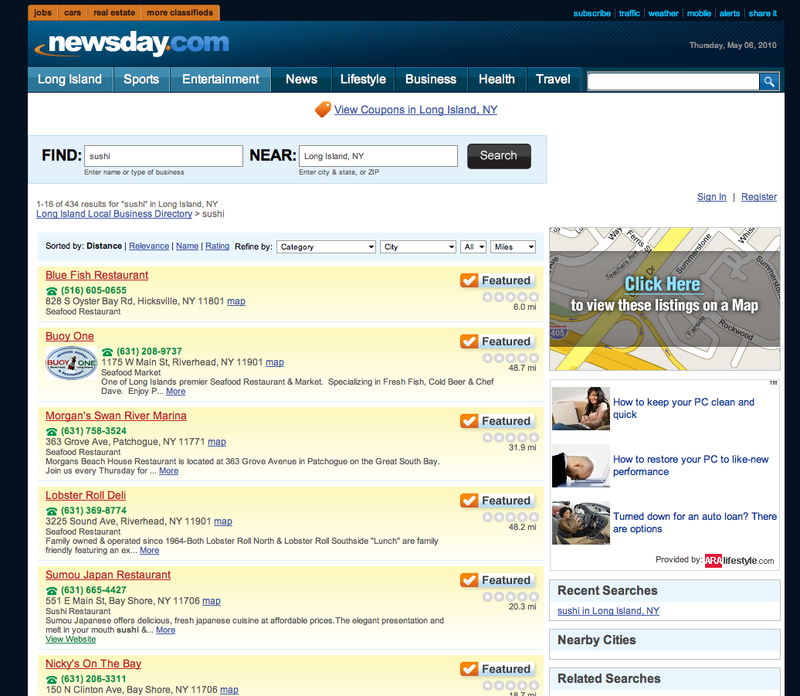 . .
Local.com’s private label local search platform, to power the search directory for its widely known flagship local news and information site, www.newsday.com. Local.com will also power the directories for two of the company’s other local properties, Explore Long Island (www.exploreli.com) and Get Local Long Island (www.getlocalli.com). [Local.com] uses patented and proprietary technologies to provide over 20 million consumers each month with relevant search results for local businesses, products and services on Local.com and over 800 partner sites. Over 50,000 small business customers use Local.com products and services to reach consumers using a variety of subscription, performance and display advertising and website products. On March 11 group buying site LivingSocial announced a $25 million “B” round. Today, a little over a month later, the company is announcing a new $14 million “C” round. In addition the company is launching in several new markets — Portland, Orange County, Charlotte and Philadelphia — bringing the total in which it operates its daily deal offering to 18. Now consumers in areas like Tacoma and Bellevue will start getting deals targeted to their location, in addition to Seattle proper. Hyperlocal deals not only help more consumers explore new things in their city, but these deals also provide merchants with a greater opportunity to reach local audiences on the LivingSocial Deals platform. I spoke yesterday with LivingSocial CEO and Co-founder Tim O’Shaughnessy about the announcements and a range of issues related to the group buying phenomenon. O’Shaughnessy told me that “hyperlocal” areas are self-selected by users and that the targeting may become more granular or narrow over time. Seattle is a test market of sorts but the company intends to roll it out more broadly. I asked O’Shaughnessy about the “noise” in the market, though not yet mainstream, on both the consumer and SMB-advertiser sides. I also asked how LivingSocial was different or would differentiate from other competitors. He told me that the group buying market in his view was an easy market to enter but one in which it is very hard to scale. He sees LivingSocial and Groupon perhaps as the only ones in the market now doing that. 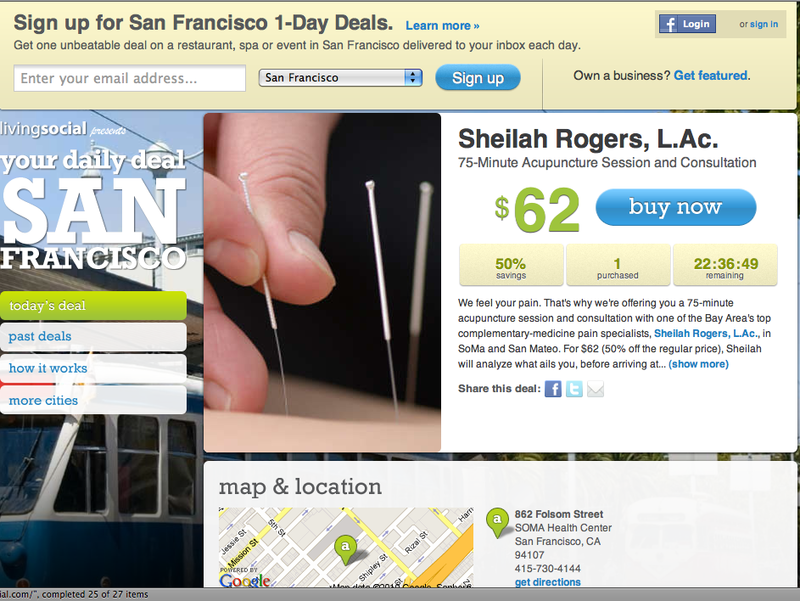 LivingSocial Competitor Groupon just raised a massive ($100+ million round) at a valuation of more than $1 billion. Groupon’s total funding is now reportedly over $170 million. O’Shaughnessy said that in every market the company has “feet on the street” — at least a couple of reps that can negotiate deals and who know the market well. He felt that this is and would increasingly be a differentiator for the site, for “advertisers” and consumers. I walked O’Shaughnessy through my “Dark Side” post and we discussed the various issues raised. In particular he said that LivingSocial does allow caps. He also said that businesses that use the service have high satisfaction levels. Indeed, there’s a growing body of anecdotal evidence that these programs work. The race is on for these sites to get the deals, the scale and to some degree to develop themselves as “brands” that consumers recognize. Right now LivingSocial and Groupon are the two providers that are arguably best positioned from a consumer “brand perspective.” However, because businesses are buying new customers and there’s zero risk — this is not “advertising” in a conventional sense — it’s easier for a new company to sell group buying into the SMB market without a recognized brand. As the phenomenon becomes more mainstream how will it evolve? And will it put pressure on other media because of this zero-risk proposition? This second issue was a question that O’Shaughnessy and I discussed at some length. He believes that in many cases this is new local money coming into the market and not a substitution of group buying for other media. He also said that the WashingtonPost is a partner and saw that as a model for other LivingSocial-traditional media relationships potentially in the future. O’Shaughnessy also told me that many of the local businesses that work with LivingSocial as clients/customers see it as a “branding play” in addition to being about new customer acquisition. That was interesting and something I hadn’t thought about before. On the point about new customer acquisition, I raised the “one night stand” metaphor. He emphasized that LivingSocial wants its local business customers to be happy and to utilize their services again. He also said that he sees opportunities for additional kinds of products in the future to more fully serve the local market. 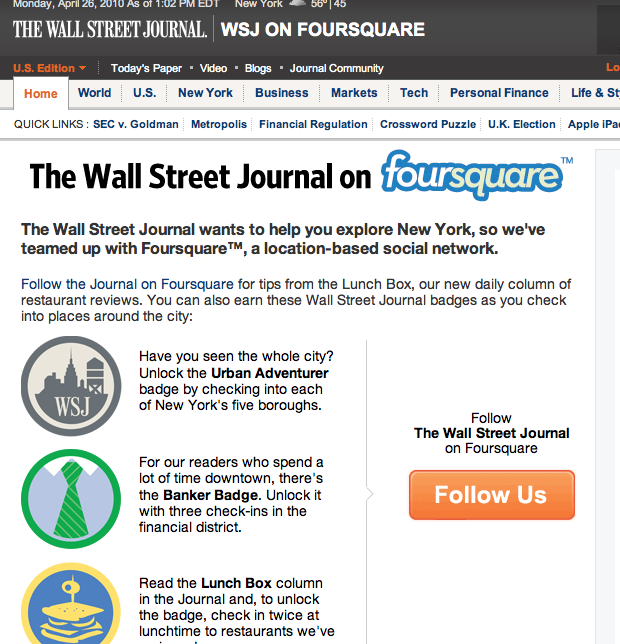 The WSJ-Foursquare relationship is very much like similar partnership deals with the History Channel, Bravo TV, Canada’s Metro News. It’s now a kind of “template” — and it’s smart for everyone involved. Like Twitter in the past, however, it’s not clear that Foursquare gets any direct monetary value out of corporate use of the site and brand association. For now that may be just fine. This adds to Foursquare’s credibility, visibility and brand. And it helps the site differentiate from others seeking to do similar things (e.g., Gowalla). USA Today’s ability and commitment to publish content on any platform were the drivers of our second announcement, which was with Apple. They also recognized that the strong appeal of our content, based on their firsthand experience with the iPhone. The USA Today app was up and running on the iPad the day it launched. There are two unique things to us about our app; one, the launch is being underwritten by Courtyard by Marriott through July 4, and secondly, after the promotional period ends, it will become a subscription model. It is one of the most popular apps on the iPad. At this point there has been over 175,000 downloads and it is the tenth most popular free app currently, and was as high as number four last week. It is the number one news application in both download statistics and user review since the launch. So we are off to a very good start with the iPad. Many of the iPad owners also own iPhones and undoubtedly have USAToday on those devices. So there was probably a bit of a built-in audience for the iPad app. Question: Will Gannett make the iPhone app a paid app when the iPad app goes paid? As the iPad sells more units the USAToday app downloads could eventually approach its print circulation numbers. However it will be interesting to see how users respond to the subscription model and what the pricing turns out to be. I wrote about this some time ago when the company’s new strategy emerged, although it has continued to evolve. Localeze has direct relationships with thousands of local (SMB) businesses and national-local businesses. As Localeze’s Jeff Beard was discussing all this with me it struck me that Localeze was now much more like CityGrid than database vendor Axciom. CityGrid is taking in content (advertisers) and distributing those advertisers and its editorial content to multiple local consumers destinations online and mobile sites/apps. Localeze is is doing a version of the same thing, while trying to ensure the integrity and accuracy of the data for the “ecosystem.” Its business model is just a slightly different one; it’s not distributing advertisers per se. Localeze sees itself more broadly becoming the arbiter of local data for its partner engines/sites as well as the insurer of quality and accuracy for its thousands of local business customers across the Internet. As the one-to-many entry point for many of these businesses Localeze is also doing something that is conceptually similar to what UBL aspires to. Beard and I spoke about how many people — even in “the industry” — don’t really recognize what Localeze is or is doing today. But in a way he doesn’t care, because his customers all seem to understand. Realtor.com is unlikely to hold on to its top position in my view, as a relatively complacent incumbent, much like MapQuest lost its crown to Google in Maps. 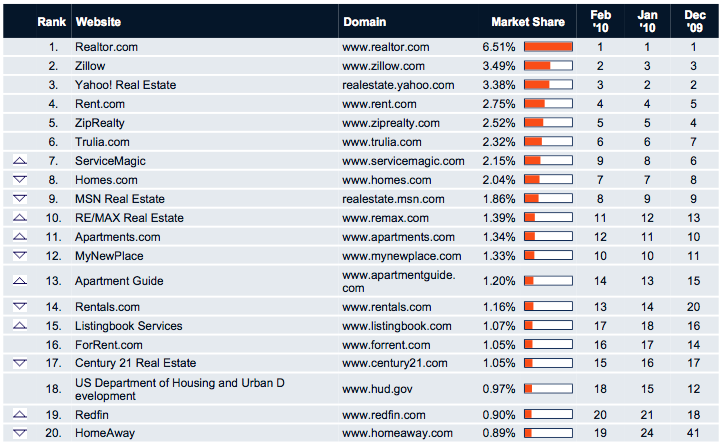 The question is when will Zillow become number 1? As an aside, Yahoo! 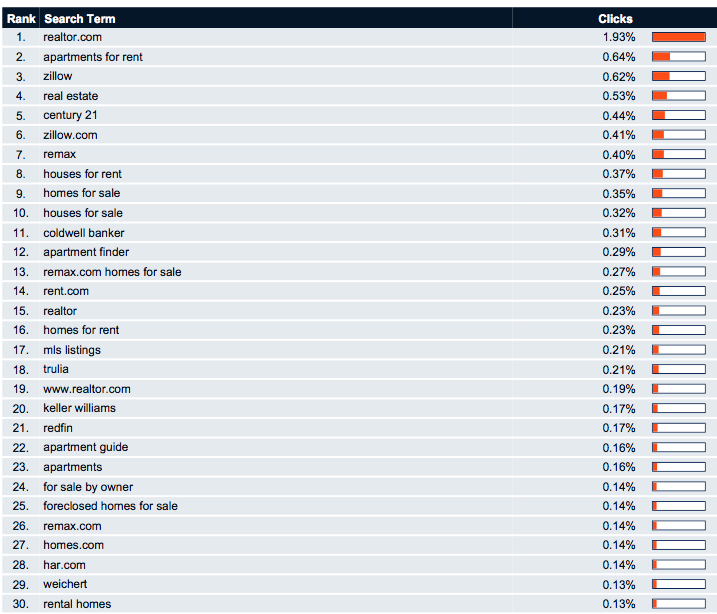 Real Estate (number 3) is increasingly a mix of third party content, including from Zillow. It’s totally amazing how the newspapers have let this market slip from their fingers in a slow-motion process that has lasted more than a decade. Group buying just got hotter. The whole segment went on everyone’s radar when Groupon announced in December that it had raised $30 million on top of a previous $36 million. That round reportedly valued the company at $250 million and helped spawn copycats galore (though Groupon is not the first group buying site by any means). Last night TechCrunch reported that the site had raised a “huge” new round with a valuation of $1.2 billion. That will further ratchet up the frenzy that already exists around couponing/group buying. Although these companies are positioned as something new, in the wake of the rise of the social Internet, (Groupon uses the term “social commerce”) it’s the old reverse auction (prevalent in the late 90s) with local couponing at the core (hence the name). And it’s fundamentally about online driving offline, though there’s an e-commerce component. There are now literally dozens and dozens of companies in the US and Europe doing something very similar. This segment is hotter than a lobster in a dutch oven, you might say. 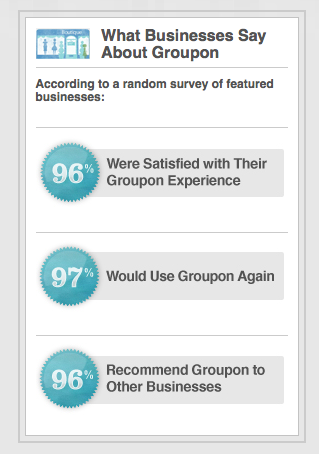 Groupon is trying to get to scale faster than others and build its brand. Previously aggregator Yipit, which positions itself as the “Kayak of group buying,” pointed out that there were more than 40 of these sites in the US as of a couple of months ago. It’s only going to get bigger as traditional publishers and others try and get into the game and these sites push their deals out through established channels. Groupon right now is doing something of an “arbitrage” play: acquiring consumers through online display advertising and then selling them to local businesses for considerably more. I wrote a recent post, “The Dark Side of Grouponing,” based on an interview with a restaurant owner who said that the system “worked” but that there were lots of hidden issues and pitfalls. In response to the general trend but trying to provide more tools and/or flexibility to advertisers and publishers are Analog Analytics, which offers couponing/deal tools to traditional publishers, and Closely, which offers an array of promotional/CRM tools to SMBs and publishers. I also had a very interesting conversation with David Ambrose, the co-founder of NY-based Scoop Street, not long ago. Among other things he and I discussed how these sites were competing with all the other channels and media trying to get SMB/local business attention and mindshare and how the model might influence the “culture” of local advertising. Is there staying power in the market? Will their value proposition (pay only for real customers, get money up front) have a broader impact on what SMBs expect from “advertising” and are willing to pay for? How will grouponing and the business model question immediately above affect traditional publishers/media channels (even search and other online channels)? Three years ago at SMX Local-Mobile I ran a panel called “The Ultimate Local Ad Model” which asked the question: will the local market migrate to lead-gen and other CPA models from PPC and CPM? The panelists argued “no” and that multiple models would co-exist. I agree with the latter statement but there’s something significant going on here that is roughly comparable, in a way, to the whole phenomenon of “geo-social gaming” and how it may be changing the culture of the local-mobile segment. Of course these other media can’t compete with the Internet because it’s the only “all in one” medium and it contains the others: TV, radio, newspapers. So it makes sense that if you had only one to choose, you’d want the Internet because it means at least partial or compete access to the others. In order to make an informed decision, however, local businesses need to be up-to-speed with current usage patterns as they relate to both traditional and new digital advertising options. They also should be aware of how Yellow Pages companies are integrating new platforms into their portfolios in order to deliver a hybrid model that maximizes consumer reach and drives business results. In some cases, one’s perception about how people are searching for business information and the services that Yellow Pages partners provide is different than the reality. The bottom line is that that local market continues to fragment. The challenge for local businesses is to decide where to put their limited resources in that fragmented market, when they’re getting 10 calls a day from competing publishers and sales channels. The noise and confusion show no signs of abating. Increasingly some of those SMBs will turn to self-service and free social media (FB, Twitter) and some will turn to group buying, which doesn’t represent an upfront cash outlay. But there remains a big opportunity for trusted third parties to manage the SMB ad spend across multiple platforms. The challenge for traditional media and publishers of all stripes is how to prove the value of their more expensive traditional offerings (e.g., print) as usage further fragments, though remains strong among some demographic segments.